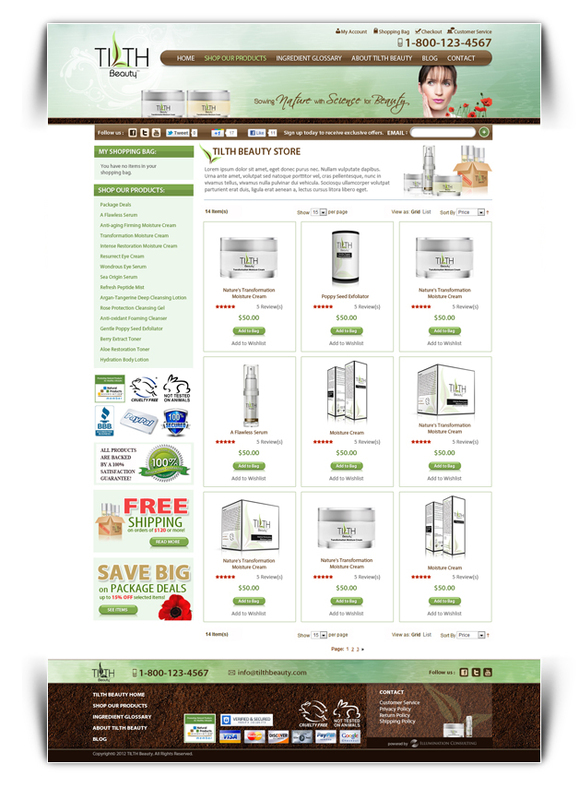 The latest custom ecommerce store design by Illumination Consulting design studio. 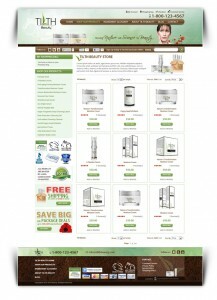 This custom store design is powered by the leading application for enterprise ecommerce – Magento. Our team has a long history in successfully customizing and implementing ecommerce solutions powered by Magento for our clients. Our latest skin care project – Tilth Beauty is scheduled to launch in June 2012. We are looking forward to launch this beautiful website. Architect-ed by our skin care consultants, this ecommerce store and website is designed and build to successfully enter the skin care industry.